Draft: 2014, Cleveland Indians, 3rd rd. Full name BOBBY BRADLEY...Married, Nenwae...Graduated from Harrison Central High School in Gulfport, MS in 2014...During his senior campaign he hit .340 (17-50) with 5 2B, 2 3B, 6 HR & 11 RBI in 22 games...Hit .567 (34/60) as a junior...Signed a national letter of intent to attend LSU during his senior year...He attended the same high school as LHP Greg Hibbard and OF Matt Lawton....Grew up a fan of the Boston Red Sox and David Ortiz. Split season between AA Akron and AAA Columbus, batting .224 (108-for-483) with 26 doubles, 5 triples, 27 homers and 83 RBI in 129 games (.308/.466/.774)...Led Indians minor league players in homers, RBI and slugging pct. (.466)...Has more homers (79) and RBI (274) than any Indians minor leaguer over the last three seasons...His season began slow, batting .114 (9-for-79) in April and was hitting .176 on June 2...Hit seven homers with at least 18 RBI over three consecutive months, May-July, before being promoted to AAA Columbus on Aug. 2...Batted .253 (24-for-95) in July for Akron with 7 HR, 18 RBI and an OPS of .888...Went 4-for-5 with two RBI in his third game for the Clippers on Aug. 4...Over his final 21 games in Columbus batted .292 (21-for-72) with 5 2B, 1 3B, 3 HR & 14 RBI...Combined on the year he batted .206 (28-for-136) with 4 HR, 28 RBI vs. LHP...Added to the 40-man roster on Nov. 20. Finished tied for the organizational lead with 89 RBI, fifth with 23 home runs and was named an organizational All-Star by MiLB.com... Strikeouts decreased from 170 in 2016 to 122 in 2017... Finished second in the Eastern League in RBI and sixth in homers...Hit 3 homers and drove in 7 runs on June 27 vs. Erie...Hit .276 (96/348) off RHP with 20 HR, .875 OPS and batted .176 (21/119) off LHP with 3 HR & .567 OPS...Ranked 91st overall prospect in MLB according entering 2018 according to ESPN's Keith Law. 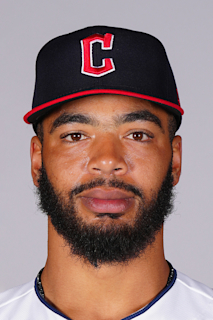 8 de marzo de 2019 Cleveland Indians opcionado 1B Bobby Bradley para Columbus Clippers. 20 de noviembre de 2018 Cleveland Indians seleccionado el contrato de 1B Bobby Bradley de Columbus Clippers. 2 de agosto de 2018 1B Bobby Bradley asignado a Columbus Clippers de Akron RubberDucks. 4 de enero de 2018 Cleveland Indians invitado fuera del roster 1B Bobby Bradley para spring training. 1 de abril de 2017 1B Bobby Bradley asignado a Akron RubberDucks. 11 de marzo de 2017 1B Bobby Bradley asignado a Cleveland Indians. 13 de marzo de 2016 IF Bobby Bradley asignado a Cleveland Indians. 5 de septiembre de 2015 1B Bobby Bradley asignado a Lynchburg Hillcats de Lake County Captains. 9 de mayo de 2015 1B Bobby Bradley asignado a Lake County Captains de Mahoning Valley Scrappers. 19 de abril de 2015 1B Bobby Bradley asignado a Mahoning Valley Scrappers de Lake County Captains. 6 de abril de 2015 1B Bobby Bradley asignado a Lake County Captains de AZL Indians. 5 de marzo de 2015 1B Bobby Bradley asignado a Cleveland Indians. 21 de junio de 2014 1B Bobby Bradley asignado a AZL Indians. 17 de junio de 2014 Cleveland Indians firmado C Bobby Bradley.